Installation of concrete curbs, sidewalks and ramps. All these areas subject to abuse from cars and trucks and even heavy equipment. The most common damage is tree roots. As a result, these areas need attention or repair and replacement every once in a while, and when that happens, it’s time to call Gator Construction. 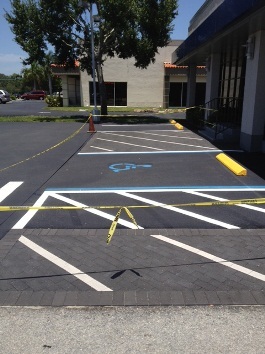 From minor repairs to installation of new curbs, sidewalks, dumpster pad installations, ADA compliant work, call Gator Construction for a free consultation and proposal. Gator Construction service is fast and professional. If your business or subdivision is in need of these areas being repaired, our knowledgable crews will take care of your project from start to finish. This entry was posted in ADA Construction, Curb Construction, Our Services. Bookmark the permalink.